Emma Carver went shopping with her 2-year-old son Ayyan Umar, her son met his fate while they were in the fruit and vegetable aisle. Emma decided to pick up some grapes and gave them to her son Ayyan while they were still shopping around. She gave him a handful, moments later she turned around to find him choking on them. The mother called for help and by the time paramedics got there the boy was already deceased. 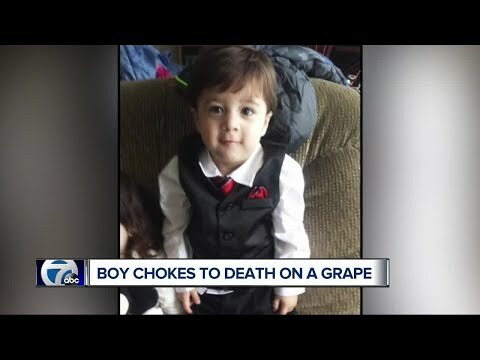 They pulled out jammed grapes from his throat. The mother now wants to alert other parents about the dangers of grapes.